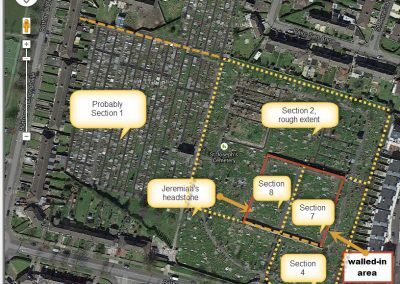 The Rhubarbleaf has been offline for a while. 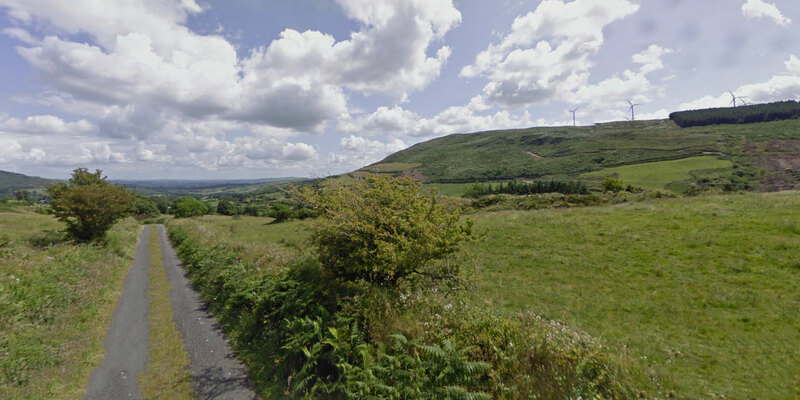 Eamonn (more than me) and myself have been making an effort to get further back. 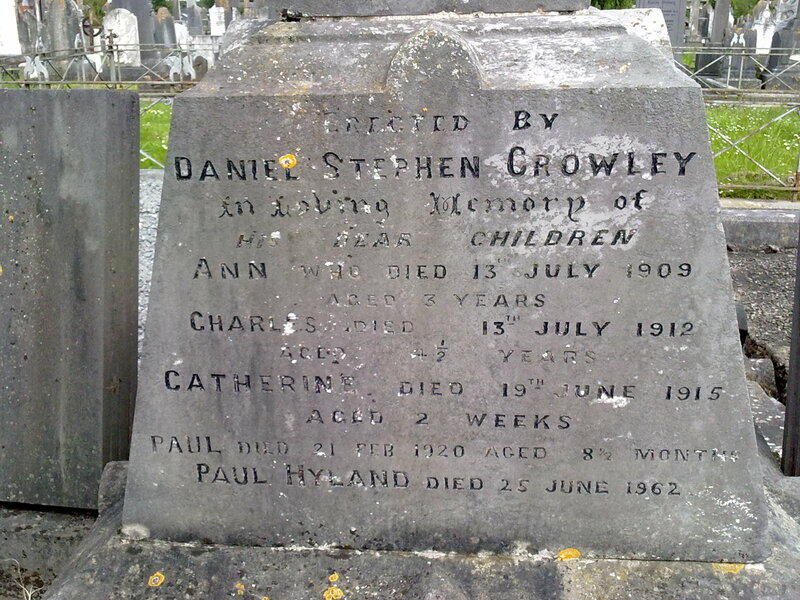 My ultimate goal would be to find James Crowley’s grave and find out who his parents were. 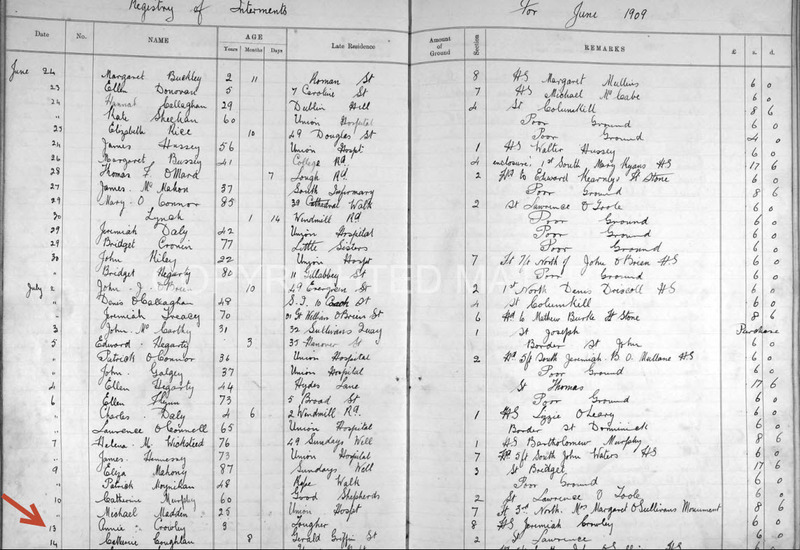 Given the time and lack of records, this could be difficult. 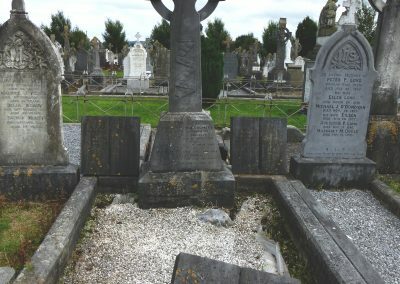 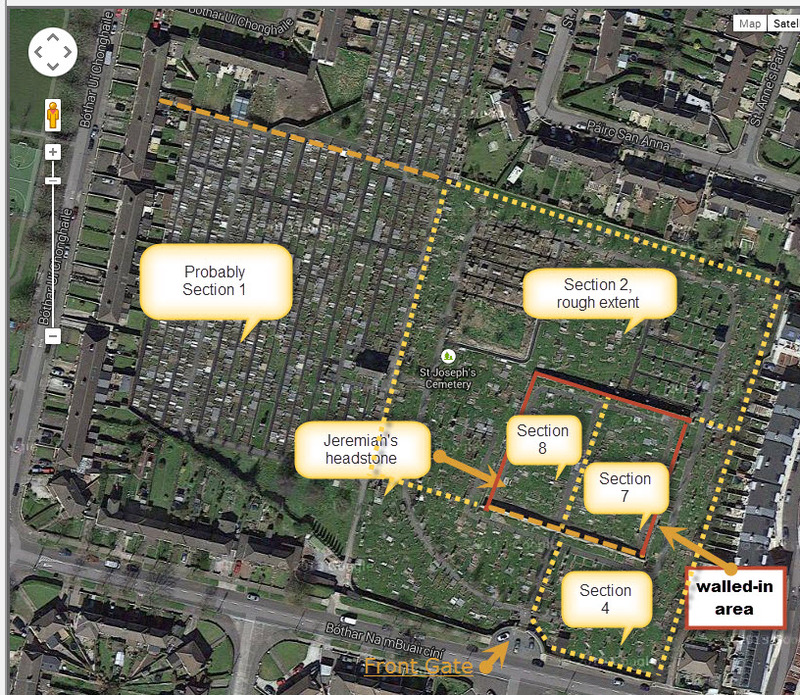 St. Josephs cemetery which is Ballyphene in Cork would seem like the place where they would be buried. 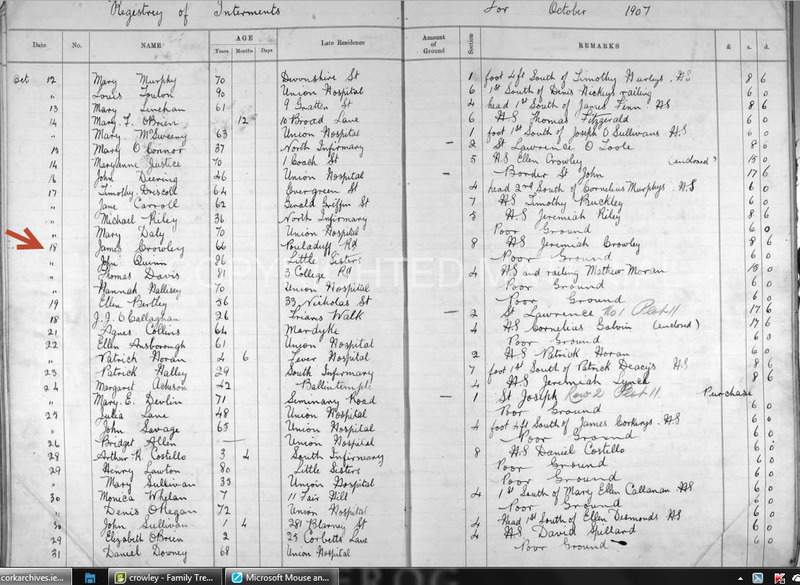 I have photos of the burial records but am not allowed to publish them. 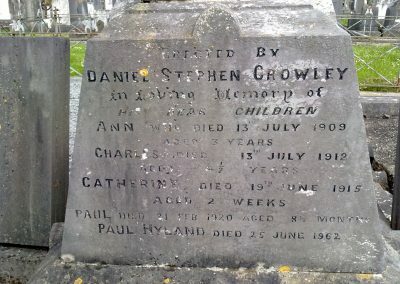 It mentions James Crowley 18 October 1907 as his date of death and a funeral at 3pm on the following Sunday. 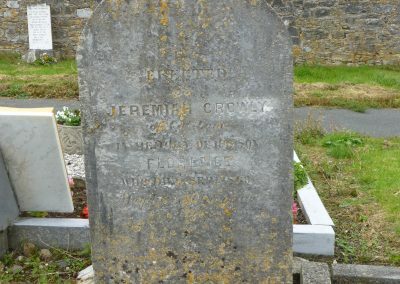 I can read headstone Jeremiah Crowley. 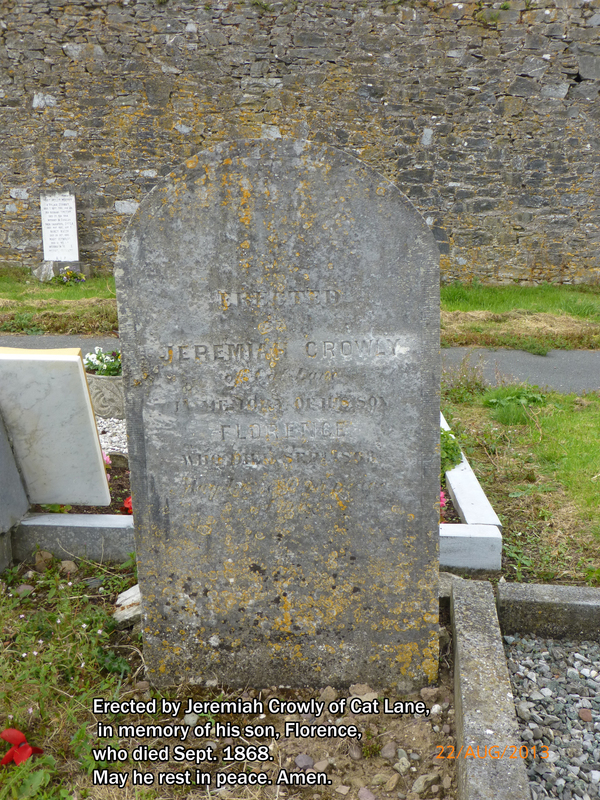 James name is not on the headstone. 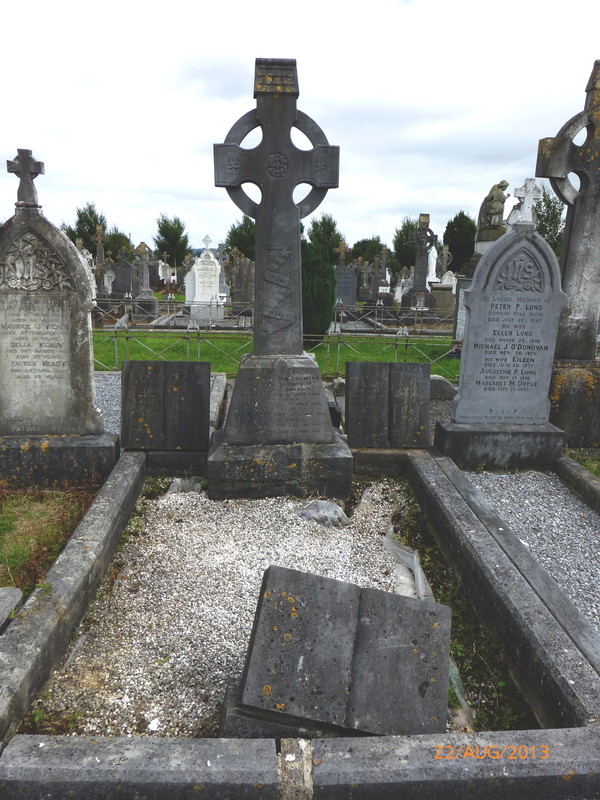 So I am publishing 3 photos which Eamonn sent to help us at least keep this record safe. 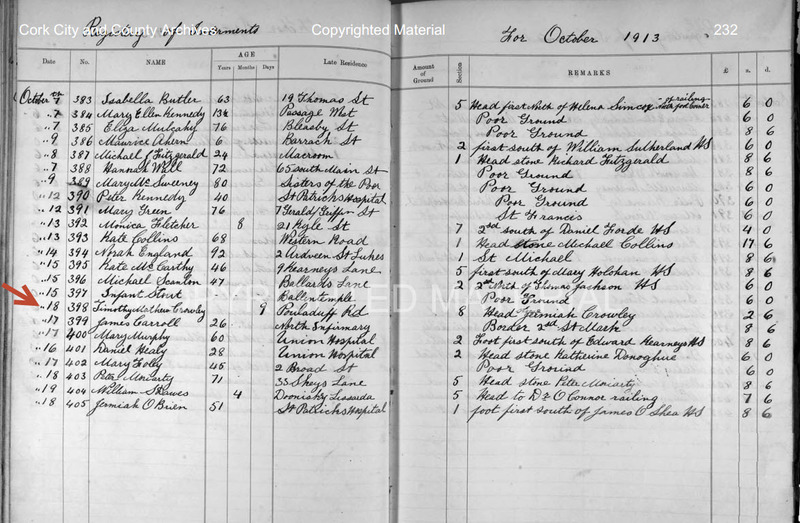 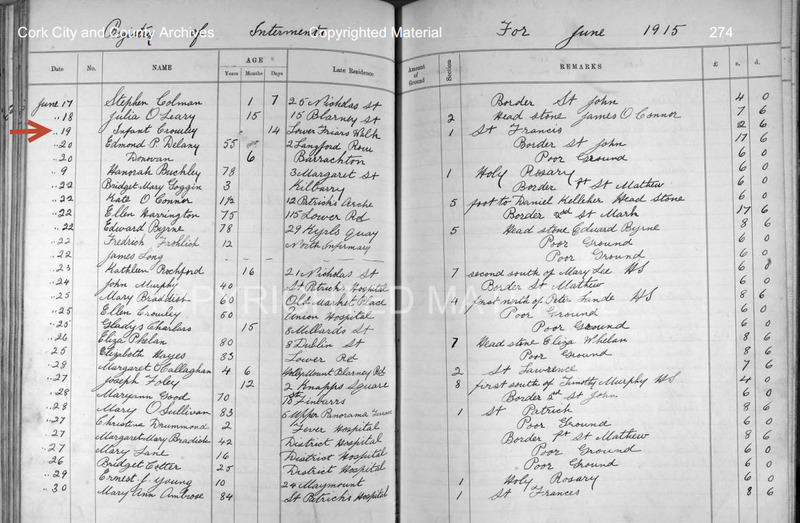 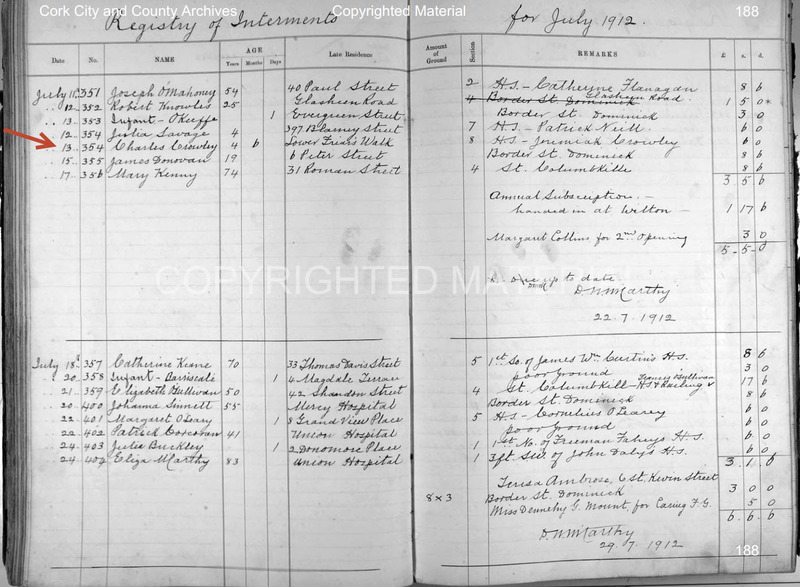 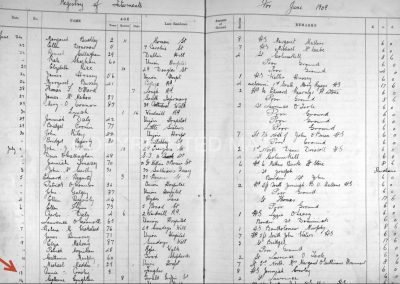 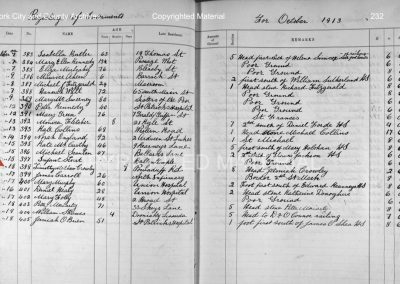 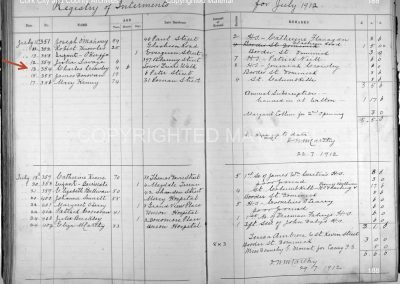 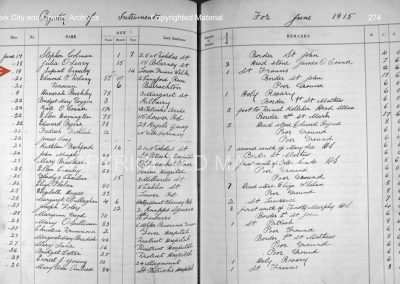 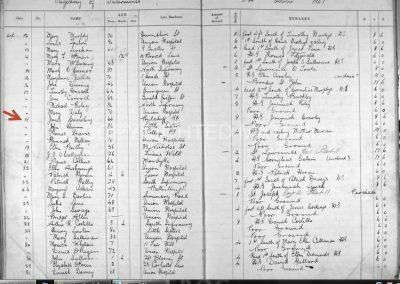 We are seeing in some records that the family came from a now almost non-existent area west south west of Dunmanway called Sillintane (now spelled as Sillahertane).